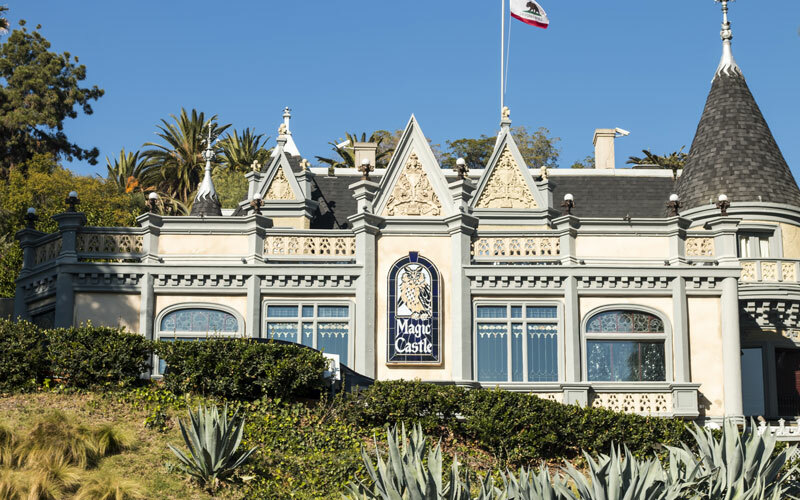 More than a half-century after it debuted in Hollywood, the Magic Castle is set to open a second location later this year near Santa Barbara called the Magic Castle Cabaret. Milt Larsen co-founded the original private membership club for magicians in 1963 and spent decades shaping the building into a labyrinth of dining rooms, theaters, and exhibition spaces, incorporating architectural castoffs from historic L.A. mansions. He now splits his time between Hollywood and Santa Barbara and wanted a club for his friends up north. The new venue overlooks a lake and nature preserve in Montecito and formerly housed the Casa del Sol restaurant and events center. The structure is about a fifth the size of the Hollywood castle and will feature a 50-seat theater and a lounge. During the 1970s Larsen opened additional vintage-themed nightspots at the Variety Arts Center downtown and the Mayfair Music Hall in Santa Monica. Both have since closed, but the original Magic Castle endures. “The Academy of Magical Arts has over 5,000 members,” Larsen said. “This year was the biggest and best year we’ve had in our 54 years.” The Magic Castle Cabaret is expected to be open by Halloween.